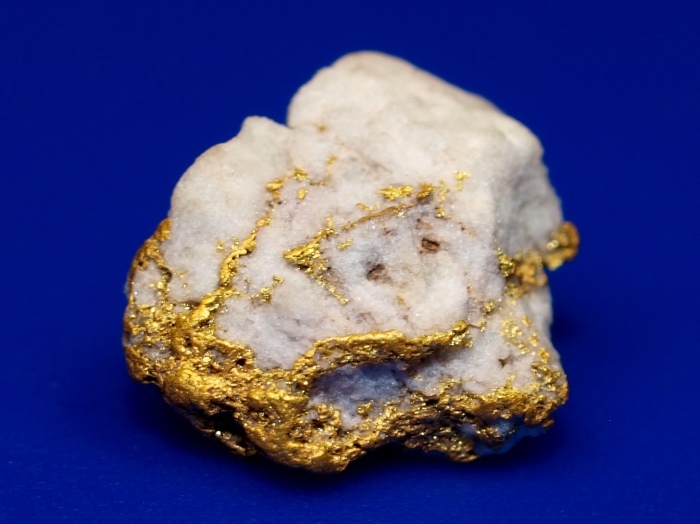 This beautiful little specimen is a lovely piece of natural gold with a nice mix of gold in quartz. 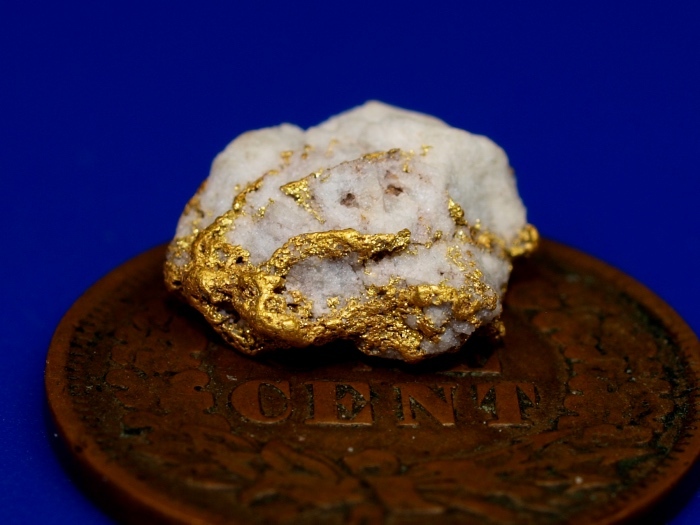 It was found in the Sierra Nevada Mountains of California, the site of the most famous gold rush on Earth. 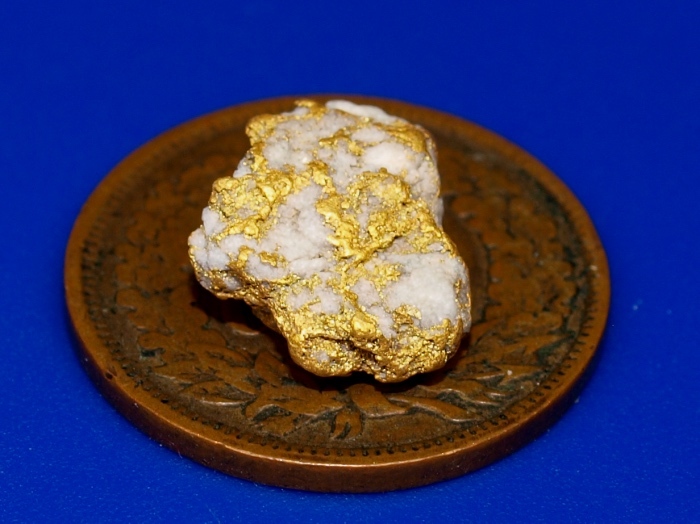 This is a small piece weighing 1.32 grams. The penny in the photo is for size reference only. It will ship for FREE and comes in a nice display case.